Toronto, Ontario September 27 – 2011 – Herjavec Group, Canada’s fastest growing technology Company (Branham 300, Profit 100) has announced the acquisition of Zentra, a $50 million data storage and virtualization integrator. Zentra is a privately held Company that was founded in 1991 and is based in Calgary – with a significant presence in Ottawa. Over the last 20 years Zentra has built an enviable reputation with Government and Enterprise as a specialist in data storage concepts and architecture, server and storage virtualization and high performance computing. With its staff of over 65 people in 5 offices, Zentra provides a full spectrum of solutions including security through its acquisition in 2010 of Calgary based security specialist Accuetrust. Accuetrust and Zentra will both be wholly integrated within Herjavec Group and there will be a single, focused brand. Herjavec Group has acquired Zentra in an all cash transaction that is expected to close in a few weeks. Mr. Scott Wagner, founder and CEO of Zentra “there is tremendous integration opportunity and value to our employees and customers with this acquisition “. As a pioneer in the storage and virtualization space – Mr. Wagner has been at the forefront of the industry for many years. “Over 20 years our customers have come to expect a high degree of commitment and excellence. I am confident this will continue and grow with Herjavec Group – which now becomes one of the largest integrators in Canada “. Mr. Wagner will work through the transition but will leave to pursue other passions. “Scott has built a solid, professional company over the last 20 years! We thank him for that and are excited to integrate its capabilities with ours. On a combined basis we are now a $ 125 Million powerhouse integrator with over 175 employees. This acquisition will provide tremendous value and service to our customers in an area that requires solid solutions for a complex and ever changing world. Herjavec Group’s world class integration and managed services ability will be a great addition to our client’s storage and virtualization needs.” says Robert Herjavec, founder and CEO of Herjavec Group. The combined entity is one of the largest integrators in Canada with offices in Quebec City, Montreal, Ottawa, Toronto, Calgary, Vancouver, and New York. Herjavec Group continues its incredible growth rate. The Company was founded less than 10 years ago with first year sales of $ 400,000 – and now Herjavec Group will surpass the $ 100 million mark. “This is an incredible milestone that very few Companies in Canada ever reach – especially in our timeframe. I am extremely proud of this achievement and the incredible team we have been able to build in order to get here “, says Robert Herjavec. “ While this is a great feeling we are already planning how we can continue our growth and provide even greater value to our customers “. 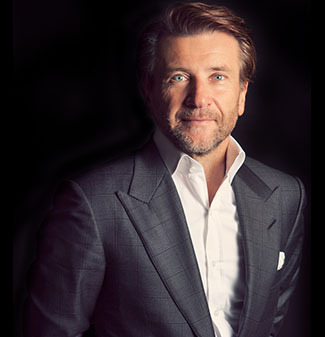 Founded in 2003, Herjavec Group finished last year with sales of $ 65 million – placing it on the prestigious Profit 100 Ranking of Canada’s Fastest growing Companies for the 4th year in a row. Herjavec Group provides complex solutions to some of the largest enterprise clients in Canada and the United States. This is the 5th acquisition for Herjavec Group over the last 6 years. It has enjoyed an enviable reputation for integrating specialty companies in order to provide an overall cohesive enterprise technology solution in security, wan acceleration, infrastructure, storage, high performance computing and virtualization. Herjavec Group’s capabilities extend to being able to support and manage all its solutions from its state of art, fully secure and bilingual SOC (Security Operations Center) in Toronto and its back up support center in Kanata. Herjavec Group has been recently awarded Bluecoat partner of the year in Canada, is currently the largest Palo Alto solutions provider in North America, and one of the largest McAfee partners in North America – providing support to over 1 million nodes of McAfee to the Canadian Federal Government.